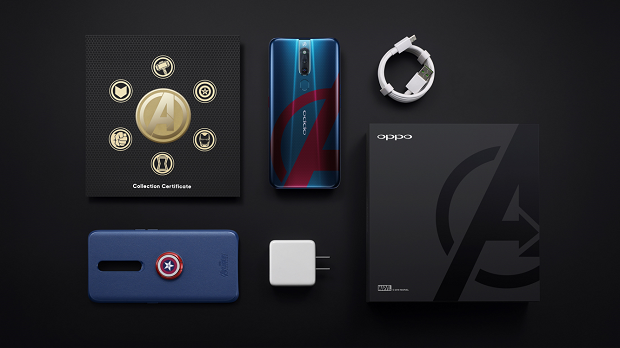 OPPO is launching the newest F11 Pro Avengers Limited Edition smartphone, which is an exclusive model released in cooperation with Marvel Studios. 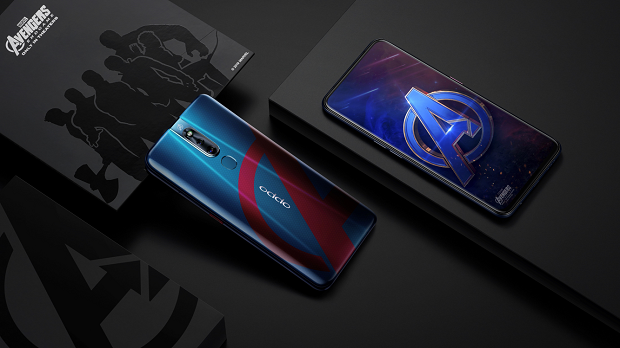 OPPO will launch a brand new F11 Pro Avengers Limited Edition in special partnership with Marvel Studios' Avengers: Endgame. This exclusive model will be available for pre-order in selected OPPO concept stores starting April 26, and is priced at PHP 19,990. The OPPO F11 Pro Avengers Limited Edition comes in a unique design called Space Blue. The back cover features a design inspired by Captain America’s armor - the bold red Avengers “A” collides with the blue background in OPPO’s signature gradient effects to form the attractive red-blue color-blocking. A wallpaper featuring the Avengers logo completes the look. Furthermore, this limited-edition of the OPPO F11 Pro also comes with a Captain America-themed case. It has a central-located finger ring, inspired by Captain America’s iconic shield, freeing your hands when you're watching a video and preventing a slip or drop when you're holding it.